Dhow Cruise Dinner is an evening activity in Dubai that can be a great fun to do. You will board on a traditionally decorated Wooden Dhow you will have an excellent International dinner while the Dhow sails in Dubai creek to show you the important landmarks of Dubai. 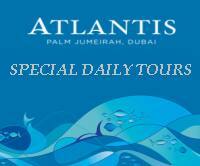 On our Dubai Dhow cruise we will pick you up from any hotel in Dubai or Sharjah and drive to The Dubai Creek. On Dhow cruise you will have a chance to see the past and present architecture of this fabulous city that has emerged from a small settlement to one of worlds capitals. The city is brought to its full beauty during the evening time. The landmarks that you will see include the National Bank of Dubai, Dubai Chamber of Commerce, Sheikh Saeeds house, and the Dubai Heritage Village. This unforgettable romantic evening cruise includes a buffet dinner with a variety of dishes either continental, or oriental cuisine and vegetarian and non-vegetarian, along with soft drinks and traditional coffee. Alcohol, and mineral water also available against extra payment. You may also wish to go on the deck to take the fresh air and see Dubais lights and sights as the cruise sails along the Dubai Creek. Around 10:30 PM, you will be brought back to your respective hotel. For Parties Breakfast Lunch or any other arrangement please contact us we will negotiate a very special rate. Dhow Boat can also be used for product launches, small conferences and corporate events. We also have more options for Dhows Including dhows and luxury floating restaurant like Bateaux Dubai Alternatively Contact us to reserve now. We can also book for you Rooster Dhow Cruise which is tallest wooden dhow in the world made of teakwood. Contact us to reserve now.